Badiou's theory of the Event is the lynchpin of his influential, but controversial, theory of revolutionary politics. In the fifth instalment of his series, Andrew Robinson traces the contours of the Event, and its fundamental attributes, such as undecidability, ontological disruption, and unfoundedness. He also examines which historical revolts are viewed by Badiou as authentic Events – and why some historical revolts fall short. The Event is Badiou’s best-known concept and represents, in essence, his conception of revolution and social change, whether in politics or other domains. To summarise the discussion so far, Badiou maintains that reality is grounded on a ‘void’ of ‘inconsistent multiplicity’, which is at once void and excess. Normally, the state, the count-for-one and the dominant ideology cover up this foundation. But it remains present – imprisoned or kettled, so to speak, at the site of the excluded part. An Event happens when the excluded part appears on the social scene, suddenly and drastically. It ruptures the appearance of normality, and opens a space to rethink reality from the standpoint of its real basis in inconsistent multiplicity. The order of a situation – the “state of the situation”, the “count-for-one”, the dominant “ideology” – all render the excluded part invisible. Along with this part, they hide inconsistent multiplicity. But they cannot ensure that the excluded part will remain quiet. This part might erupt into the situation at any time. One can think here of the mass revolt of 2011, for instance, or the Arab Spring, or the Caracazo. Such events may appear to have been foreclosed in advance by the repression and recuperation operative in their situations. The agents of these revolts were largely invisible before the revolts occurred. Yet nevertheless, the revolts occurred. In principle, any excluded part of the situation – anything not included in the count-for-one – can be the site of such a revolt at any time. This is because the exclusion of a part prevents its being managed well enough to foresee or head off revolts. It is also because the application of a structure and a “count” to the situation is always in a sense arbitrary, ungrounded, a “decision” rather than an objective order. The applicability of the structure as such can always be rejected or challenged. As we have seen, the excluded part has no recognised identity or attributes within the situation. Therefore, it cannot stage an Event based on some particular attribute. It can only approach the situation on the basis of its generic humanity. This is similar to Agamben’s idea of ‘bare life’ in revolt. In an Event, the inconsistent multiplicity which always lies beneath a particular social order is able to appear subjectively. Only in an Event can the excluded part be visible. An Event succeeds in representing a part which is previously unrepresented. This unfolding of new representations from an Event produces Truths, Subjects, and new social systems. In many respects, Badiou’s Event is an extension of Maoist views of revolution. The primacy of practice is central to Badiou’s approach. So is the importance of scission. And so is the centrality of an excluded part to revolt. An Event is something akin to a rip in the fabric of being, and/or of the social order. It is traumatic for the mainstream, and exhilaratingly transformative for participants. Events are so radical as to even escape Badiou’s own ontology. A lot of Badiou’s discussions of the Event are negative. An Event is depicted as being other than “being as being”, or the normal, mathematically integrated structure of reality. Since there is no general situation or History, something only has ‘being’ if it belongs to a situation. Events do not belong to situations, events occur outside being-as-being. This means that set theory and the resultant ontology cannot conceptualise Events. An event is ‘supernumerary’. In other words, it is excessive over whatever is counted in the situation. It cannot be recognised as a “one” in the situation. It counts as nothing, in the situation’s terms. Neither the power of the state nor the power of a subject is clearly limited by ontology. Sometimes Badiou portrays the Event as purely random – an effect of chance. The word he usually uses is hasardeux (haphazard). It is chance in the sense of a possible encounter or dysfunction. Sometimes he portrays it as an act of creation out of nothingness (creatio ex nihilo). At other times, he treats it as a kind of structural necessity, which will happen sooner or later. Yet it is outside the normal structures of social control. An Event interrupts the continuity of determinism. It allows something completely new to come into existence. An Event has no definite foundation – especially no legal foundation. It is founded simply in a type of attachment, experience, or belief which Badiou terms ‘Truth’ (see below). If it turns out that the Event can be classified in terms of earlier criteria, it wasn’t a true Event to begin with. An Event cannot provide any binding justification for itself. One either accepts an Event or rejects it. At one point, Badiou expresses the idea of an Event in terms of a rewriting of the “social contract”. – Events are always radically contingent. – They take place at a particular locality, the Evental site, and not across a situation. – It is always impossible to tell whether or not an Event belongs to a situation. From the situation’s point of view, it is impossible to tell if the event is a strange effect of the situation, an effect of a different situation, or an anomaly. – And it is only possible to identify an Event ‘reflexively’ – by already having chosen to identify it. This reflexive structure frustrates attempts to analyse or recuperate an Event, particularly from the outside. It requires knowledge to reinvent itself. There are also two further criteria added in Logic of Worlds. Firstly, an Event must have a ‘maximal intensity of appearance’, meaning that it is highly visible or present. Secondly, it must propel the excluded part from lacking intensity of appearance (Badiou’s new depiction of its exclusion) to maximal appearance. Intensity of appearance is linked to the number of active connections an element has with other parts of the situation. So an Event can have the effect of multiplying connections to a part which was formerly isolated. This way of thinking of Events brings relations back into the picture. Events are now seen as Events in terms of their effects on their ‘world’ (or situation), not only in self-regarding terms. In this text, it becomes clearer how Events can affect situations, rather than simply violating their structure. It is because they affect the appearance or ‘existence’ of different elements that Events affect situations. This can occur because part of being is ‘inexistent’ or does not appear. In an Event, this type of being returns to subvert appearance/existence. A true Event should affect the ‘transcendental’ or count-for-one of a situation. Hence, Events are necessarily ruptural in relation to the dominant order. An Event declares that another world is possible. An Event always destroys the dominant state of the situation. The destruction of the state of the situation (i.e. the dominant discourse) does not necessarily entail a revolt. It necessarily involves the overcoming of prevalent prejudices and habitual assumptions. However, Badiou’s examples in the field of politics all seem to involve political revolts. An Event must consists both of destruction of the existing order and definition of a new order. This said, Badiou does not necessarily believe in destruction in outer reality. Rather, his key proposal is to subtract or withdraw the structuring of reality so as to reveal its Evental site. Hence, the point is to puncture the organisation of reality. Existing hierarchies and value-statements must be destroyed, or falsified, by the Event. Such an act is taken to disrupt reality on a material level, because the formal arrangement underlies the material structure of a particular reality. It does not change the elements of the situation. Rather, it changes the structure of the situation, by forcing it to include a new element. Every Event has its roots in a particular excluded part. However, it has a general or ‘generic’ effect on the situation. It affects the entire situation, by acting through its foundation in the void of inconsistent multiplicity. So an Event is not simply the liberation of undocumented migrants, women, or proletarians. Because the exclusion of these groups underpins a particular order, the liberation of this group also requires the redefinition of the basis of social life, its “count-for-one” and its “state”. This is not simply the standard observation that, contingently, the dominant “way of life” depends on the labour of exploited workers, unpaid “housewives” and so on. At an ontological level, a level of the basic structure of reality, the dominant order requires the exclusion of a particular group, and the Event rejects this exclusion. In many ways, Badiou’s theory resembles other theories of revolution and insurrection, such as those of Marx, Mao, Bakunin, Bonanno, and so on. But there are some important differences. Firstly, Events are very much either-or. Something is an Event, or it is not. There are no partial Events. Secondly, Events appear from out of nowhere. They do not draw on an existing “substance” in revolt – whether this is a “hidden transcript”, class struggle, desire, or whatever. Badiou gives several historical examples of Events. These are scattered across the fields of politics, art and science. For example, Schoenberg’s invention of tonal music was an Event. So was Cantor’s formulation of set theory in maths. So was the emergence of modern art. Mallarmé’s Coup de Des is a favourite example of an Event. Falling in love is also an Event. Politically, Badiou offers four main examples of Events – all from within revolutionary history. His first example is the Paris Commune. In The Logic of Worlds, Badiou suggests that the worker as a political figure ‘existed minimally’ in the pre-Commune world. In other words, the worker as political figure was invisible, or nearly so. In the Commune, this figure becomes ‘maximally’ apparent. In other words, the figure does not simply appear, but becomes the most visible figure in the situation. The ‘rules of political appearance’ were subverted and changed. His second example is the Russian Revolution. Both the Paris Commune and the Russian Revolution were the moments when the working-class or proletariat emerged as a “subject”. After these Events, the working-class had to be either allowed into politics (in social-democracy) or obscured and denied (in fascism). These revolutions were Evental in that they made it impossible to keep the proletariat in the position of an excluded part. Badiou’s third example is the Maoist movement in China, particularly the Chinese Cultural Revolution of the 1960s. Maoism is Evental in that it attempted a scale of popular mobilisation unknown in earlier periods. The Cultural Revolution stands out as the moment when ‘permanent revolution’ is advanced as a principle. After this time, it becomes impossible to ignore the masses in politics. Phenomena ranging from guerilla marketing and flattened network management, to the Revolution in Military Affairs, to new developmental initiatives such as Community-Based Natural Resource Management, might be seen as responses (though not always in fidelity) to the Maoist Event. The fourth usual example is the revolt of May 1968 in France. This is a revolution against the closure of everyday life by the system. For Badiou, fidelity to France 1968 is focused on the slogan “The factory is a political place”. This slogan rejects the view that the factory is simply a site of corporate profits. It asserts invisible workers as political actors in the workplace. The process of “investigating” this new truth is to create militant groups inside the factories, and to try to politicise the factories through action. This will serve to unfold the statement as a future reality. More recently, Badiou has suggested that the Arab Spring is an Event. In addition, secondary sources are quick to interpret Badiou in relation to a wide range of social transformations. For instance, Raymond van der Wiel argues that the Zapatistas achieved an Event, because the initial insurrection – which redefined the situation – was followed by a process of national dialogue. He also cites the fact that the Zapatista movement led to the formation of a kind of ‘counter-state’ of indigenous communities as evidence that it was an Event. Peter Hallward has suggested that the MST are unfolding an Event. It would be easy to multiply cases, within the broad “grammar” of Badiou’s theory. The London insurrection of 2011, the banlieue revolt of 2005, the Greek uprising of 2008 are Events in which the excluded became subjects. The huge mobilisations around the rights of undocumented migrants focused on 1 May are an Event. Seattle was the Event which launched the summit protest wave. Stonewall was the Event which launched the gay rights movement. Sharpeville was the Event which launched the anti-apartheid movement. The Caracazo of 1989 was the initial Event from which have unfolded the Chavista movement and the popular movements of the Venezuelan barrios. The Aristide movement in Haiti is Evental, unfolding perhaps from the revolt which overthrew the dictators, or perhaps still in fidelity to the original Event of the Haitian Revolution and the abolition of slavery. The “grammar” of all these examples is accurate. However, Badiou himself is reticent to enumerate long series of Events. He maintains that Events are rare and exceptional. And something is either an Event or it isn’t – there are no partial Events. Hence, he insists that a lot of political eruptions, conflicts and revolutions are not true Events at all. Seattle, for instance, would not be an Event because Badiou hates summit protests. Hallward suggests that Events are so rare in Badiou’s account as to seem almost miraculous. In Logic of Worlds, he gives the example of the Oka conflict as a non-Event. This conflict was a quasi-revolutionary eruption by oppressed indigenous Canadians. Mohawk activists constructed barricades, blocked roads and fought police to prevent the construction of a golf course on sacred land. It has some of the features of an Event, in that it comes from a group excluded and de-recognised in the situation, and challenges the dominant discourse and the state. But for Badiou it was not an Event, because it did not shake up the identities and discourses of the situation. People who were for the indigenous movement before were for it after, and people who were for the state before were for it after. Therefore it was only a confrontation of pre-constituted forces, which already existed in the situation. It did not make anything ‘appear’ in the situation that was not already there. This distinction seems to me rather unfair. It is true that the Mohawk were already visible before the revolt. But the revolt increased the profile of their claims. It galvanised indigenous activists across North America/Turtle Island. And it led to reforms in Canadian policing. Hence, it was not entirely without Evental effects. And more broadly, the emergence of Aboriginal Canadians from a position of ‘non-people’ in ‘terra nullius‘ towards a status of recognition (not yet achieved) has many of the features of a truth-procedure. Badiou seems to bar it because it is, from the earliest days, an intergroup conflict. Aboriginal Canadians were never fully, successfully assimilated into a single “situation”. This seems to be a case of Badiou trying to arbitrarily bar certain types of Events, which follow a logic of colonial exclusion rather than capitalist exploitation. I would find Badiou’s approach more politically useful if this barrier was removed, and the dynamics of exclusion and revolt treated more widely. In Badiou’s theory, Events are not limited to politics. What others, such as Kuhn, term “scientific revolutions” are also examples of Events. In maths, Events occur when new, previously unspeakable numbers are discovered and named. The act of naming a new number transforms maths. This view is similar to Kuhn’s idea of scientific revolutions, except that the transformative force is an act of naming rather than an anomaly in the empirical field. Indeed, Badiou is almost extending this model outside science. In many ways, every Event is a ‘reforging’, similar to a scientific revolution. Political revolutions are akin to scientific revolutions in the ways their effects unfold. Badiou conceives Events as necessarily a matter of decision. It involves naming the impossible. An Event is incalculable. It is incalculable because it comes from the excluded part, which is also “non-ontological” and outside the “count-for-one”. Because it is incalculable, it leads to a “crisis of calculation”. This crisis raises a question of what to do about the Event. This question cannot be resolved rationally. It can only be “decided“. In other words, someone has to make an ungrounded choice of one side or the other. Therefore, it is always a “leap of faith” or a gamble. In Badiou, decision is also “scission“, or separation. To “decide” is also to carve the field, or divide the social world into different camps – those for and against the Event. There is no space here for any middle-ground. There is also no space for distanced sympathy for an Event. And there is no space for debate with opponents. 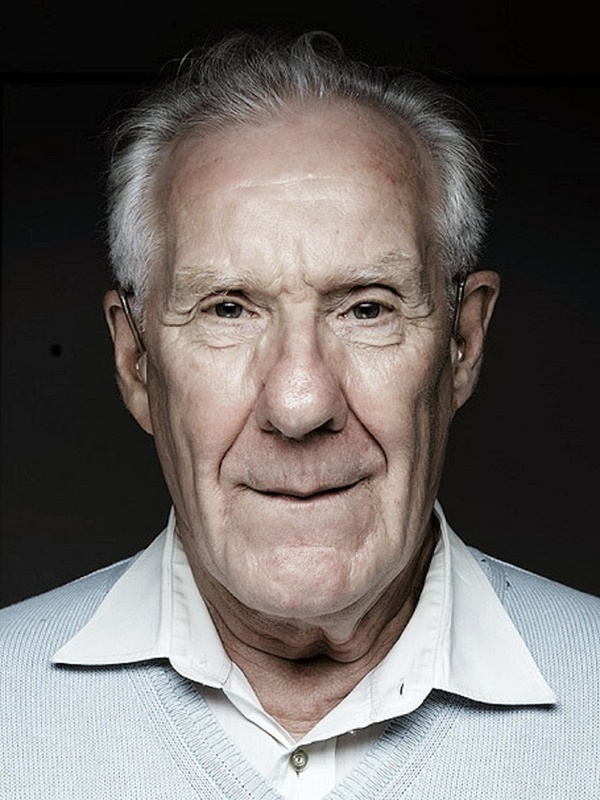 In many ways, Badiou is advocating the creation of strong dualisms and absolute social antagonisms. Those who embrace the Event should simply reject and fight those who oppose it – the same way the Maoists launched campaigns against their opponents instead of engaging them, and the same way Badiou’s faction harangued opposing lecturers at Vincennes in the 60s/70s. Decision is also associated with “intervention“. An intervention is a way of naming or analysing an Event without denying its evental nature. It saves the Event from disappearing by attaching a name to it. And it avoids denying its evental nature by choosing a name which is not simply the name of a part of the existing situation. For Badiou, the basic aspect of intervention is simply to decide that an Event has or hasn’t taken place. It is the existence of the Event, not its meaning, which is at stake. Often this is a decision on a name – to recognise or not recognise a named Event – say, the Russian Revolution, rather than a power-grab, or the Paris Commune, rather than a rabble converging. The naming of an Event is always ‘illegal’ or unpermitted, from the viewpoint of the state of the situation and the count-for-one. And the movement of an Event always seems random and nomadic, because the Event has no place in the situation. In Badiou’s theory, it is this naming or recognition of the Event which is truly radical. It is the decision, rather than its content, which changes the situation. Intervention effectively expands the Evental site across the situation. It prevents this site from remaining excluded. Because an Event is “decided” – or axiomatic – it cannot be defined. At least, it cannot be defined to the satisfaction of those who deny the Truth of the Event. Badiou takes this view because of the mathematical status of the excluded part, and because the multiple cannot be defined in set theory. What this basically means is that someone who believes the Event happened cannot convince a conservative critic that it happened. A Marxist or anarchist won’t be able to convince a mainstreamer that a political Event was anything more than a mob running amok or an armed group seizing power (i.e. that the ‘ideological’ namings of the excluded part by the state of the situation are inadequate). In the sciences, a new paradigm won’t be able to prove itself valid in the terms of the old paradigm. In any case, the interpretation of an Event has to be unfolded gradually. An attempt to treat an Event in terms of a definite interpretation destroys the Event. This theory of Badiou’s is sometimes likened to classical ‘decisionism’ – which is usually a movement of the right. For instance, Badiou’s view of the Event as decision is similar to the idea of sovereignty in Agamben. This view is based on the positive affirmation of groundless decisions by right-wing thinkers such as Carl Schmitt. For instance, Lyotard has criticised Badiou on the grounds that the decision involved in naming an Event is really the same as the gesture of sovereignty. It is a kind of law-making violence. Badiou admits that sovereignty is a classic example of an actively non-relational singularity, similar to his view of a subject. But Badiousians such as Bruno Bosteels are quick to defend Badiou on this point. They distinguish sovereignty as a complete decision from a truth-procedure as something cumulative and continuous. Feltham argues that there are two reasons Lyotard’s criticism is wrong. Firstly, an intervention is a set of processes, not an individual will. There is no individual actor in an Event. Secondly, an intervention can come up against barriers, such as parts which are not connected to an Event. The character of the Event as a decision affects its position in time. According to Badiou, all time begins with some kind of subjective decision. Each Event or Truth sets a new beginning for time. The Event itself occurs in a time saturated with the present. The Event is indifferent to death. Therefore, it suspends the subject’s relationship to chronological time. In terms of time, Badiou thinks that events also happen in what he calls the futur antérieur – roughly speaking, the time of what “will have been”. Events will have a historical existence in the future (when they are processed through a generic procedure), but cannot be recognised as existing in the present. Often, Events will be referred back to a founding moment, date, or name – such as ’18th March’ for the Paris Commune. This moment might only be visible after the event, but afterwards, comes to define the start of the Event. Subjects of Events always refer back to a moment which they also construct. The Event is never happening in the present. It is always about to happen or has already happened. Once declared, an Evental statement will always have been true. Scientific claims are a clear example of this (e.g. oxygen has always been an element according to scientists, even though air was considered an element until the eighteenth century). This also applies in politics. So for instance, workers in the nineteenth century weren’t recognised as oppressed and excluded. It was only after the socialist movements and revolutions that the oppression of workers was retrospectively recognised. After this point, history was written in a way which treated the workers as always there, but oppressed and excluded. Similarly, undocumented migrants can’t be recognised as people whose rights are violated in the current situation. Such recognition is prevented by the legal and discursive order. A revolt by undocumented migrants would be a revolt which posits that they will be recognised in future as people who were oppressed previously. It would say that undocumented migrants are people who will have belonged to the situation before the revolt, even though they were not recognised at the time. The situation after the inclusion of migrants will be larger and more inclusive than the situation before. This idea of the futur antérieur is largely an effect of Badiou’s refusal of the idea that an Event is expressing anything. If there was something qualitative being expressed, this element could be unfolded in the Event. But Badiou assumes that the excluded part has no substance. Therefore, its current existence can only be talked about in terms of what it will be for a future situation. Whether this is really how revolts work is debatable. In fact it is quite possible to argue today that undocumented migrants are oppressed – on a world-systems view of global exploitation, on a Marxist view of a global proletariat, on an anarchist or autonomist view of open borders, or even in terms of human rights recognisable to liberals. And of course, Badiou himself is able to recognise undocumented migrants as oppressed, prior to their revolt. Badiou probably means that exclusions are only recognisable by the mainstream after the Event. But this re-reading raises the problem that the Event might be built on a set of dissident readings which preceed it. For instance, people today are already working towards the goal of smashing anti-immigrant apparatuses.